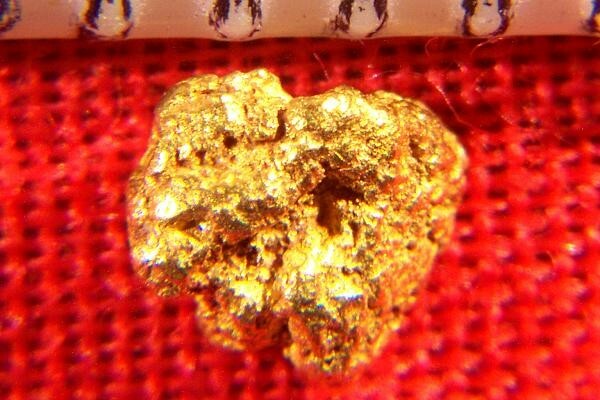 This is a fat little natural Gold Nugget from the Yukon Territory in Canada. It is fat and round with lots of character. The weight of this beautiful nugget is 4.0 Grains (0.26 Gram) and it measures 3/16" (5 mm) long. 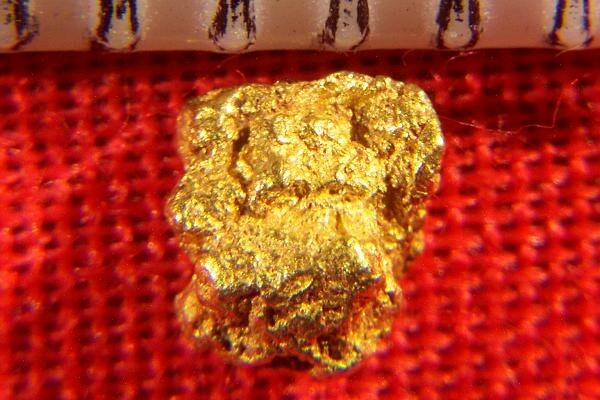 A very unique and beautiful natural gold nugget found by a gold prospector many years ago. Add it to your collection.